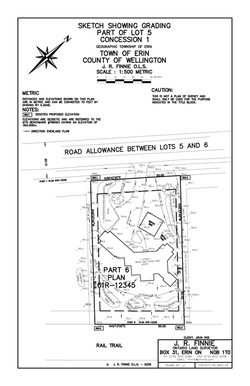 No plan is produced for this type of survey but an accurate location of one or more boundaries is completed. Corner monuments are generally found or replaced and wooden stakes may be placed at intervals along any given line. Properly located and visible boundaries in initial stages of development or new purchases may save you thousands in the long run. Clear boundaries promote good relations with neighbours and avoid costly repercussions of poor planning.